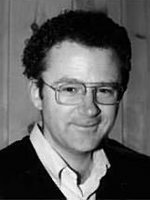 Brian Herbert is a New York Times best-selling science fiction author. His father, the late Frank Herbert, wrote Dune, which has frequently been cited as the world's best-selling science fiction novel. Brian Herbert and Kevin J. Anderson have continued this series with great success. Brian has also written the Timeweb Chronicles and Man of Two Worlds, which he co-authored with his father right before he died. His writing has been nominated for the Nebula and Hugo Awards.